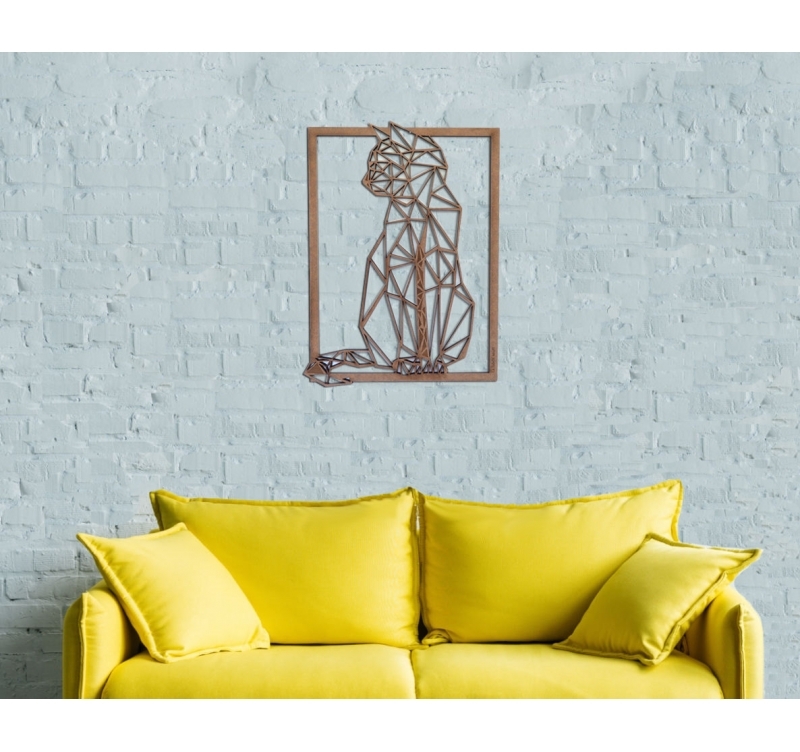 The calm of the cat in wall decoration ! This decoration was made in medium wood by our artists. The size of this modern wooden frame is 42.2 x 57.5 cm. 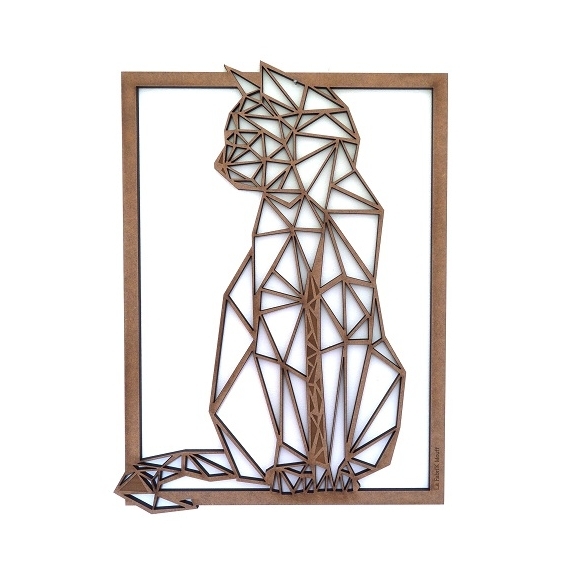 Worldwide shipping for this cat decoration. When we love animals and art, we display this on the walls as a wall decoration. In wood, it gives both class and charm. Flexible and calm, this feline domesticated by the man is adored by all, especially when it is in the form of drawing or photo. Cute and charming animal, his image has always been used for interior wall decoration. 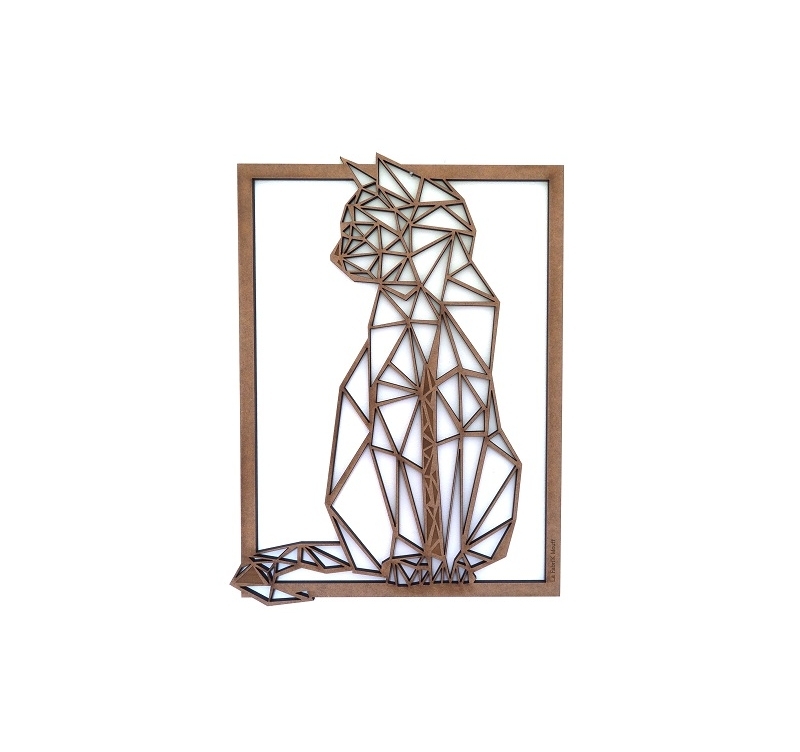 This time, artists inspired by Artwall and Co have assembled different polygons of different sizes, mainly triangles, to form a cat, sitting face, but the head turned in profile. The wooden frame and the geometric sketch form a very unusual set that can give a good touch of personality in your interior layout. This frame is made of medium wood by our artists and is available in several colors. It is possible that traces of heating are present on the back of the decoration of the cut.